The biennial American Benedictine Retreat Centers Conference was held at St. Benedict Retreat Center, Benet Lake, Wisconsin from August 22-25, 2013. Approximately 25 directors and staff from the Benedictine Retreat Centers from across the country attended with our Sr. Gabrielle Marie Oestreich representing our Spirituality Center. The topic provided an offering clarification for our position of respect, friendship, and justice towards all on the margins and the need for church leaders to: condemn violence,malice in speech, action whenever it occurs. Another key presentation “Retreat Centers as Wildlife Sanctuaries: Safe Shelter for Endangered Spirits” by Professor Shelia Nelson offered a wonderful metaphor for our desire to offer hospitality to all who come. Our centers needs to be a place of refuge for those “endangered” by the circumstance of their lives. Many live in toxic environments, are injured, and need a place of safety and healing. The final round-table discussion among participants was a fruitful exchange of ideas and shared challenges. The conference concluded with a business meeting where bi-laws were updated and new team members elected. 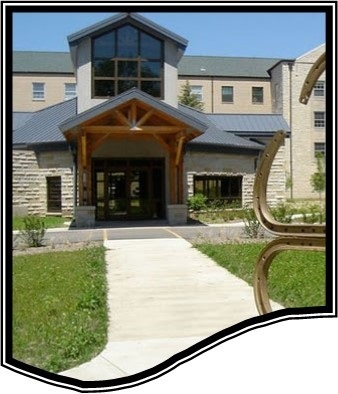 The next ABRC Biennial Conference will be held at the Benedictine Retreat Center, Cullman, Alabama in 2015.